Drawing upon nature, the Nevado Table Lamp by Heathfield & Co features sculpted, circular imprints that add depth and texture to the spherical light. The rich colour palette is enhanced by a reactive ceramic glaze ensuring that each design is truly unique. 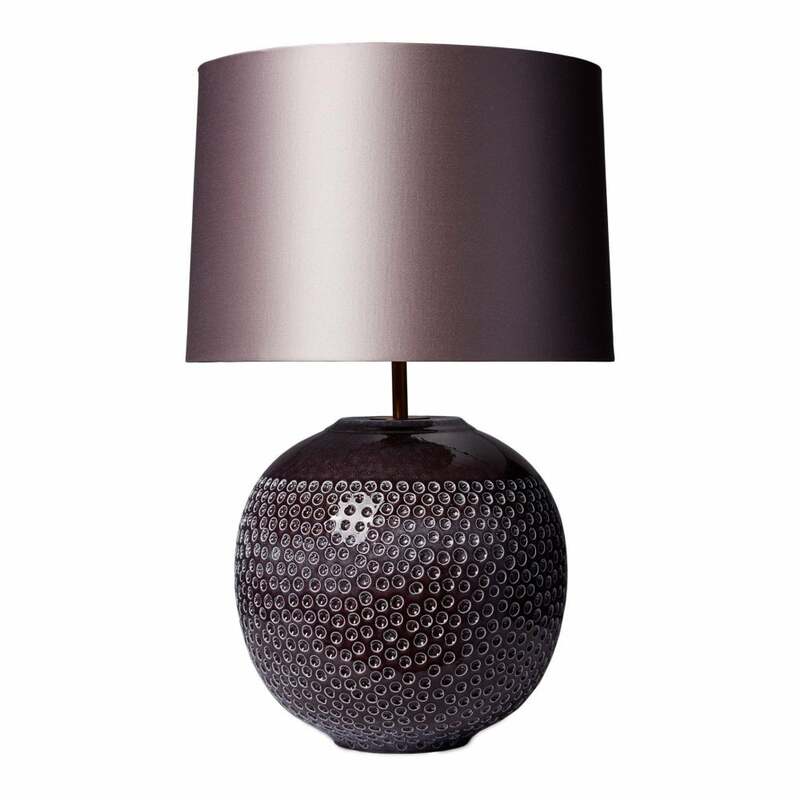 This eclectic table lamp will add depth and texture to a living room or dining room. Pair with a wine-coloured satin shade for ultimate luxury. Make an enquiry for more fabric and colour options.